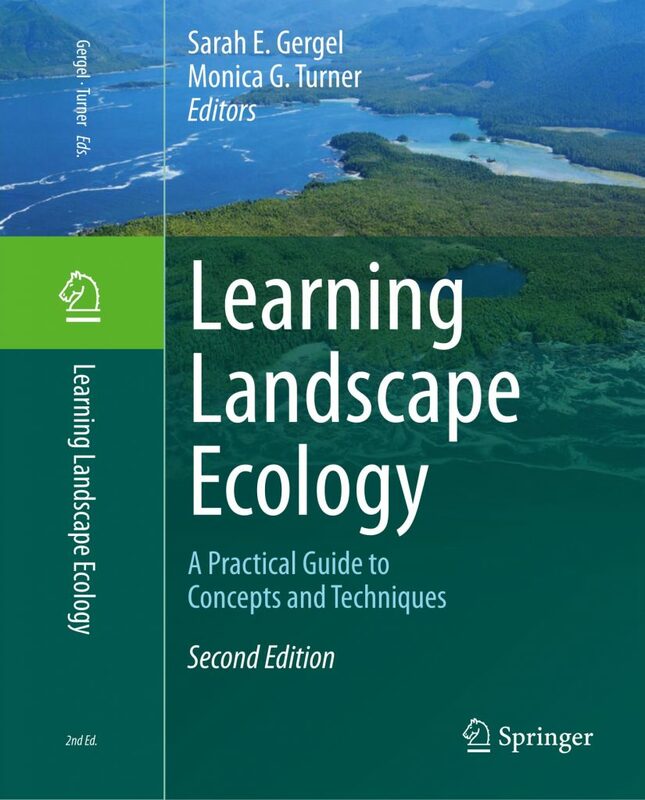 We have been extremely pleased and honored by the enthusiasm generated by the first edition of Learning Landscape Ecology, the first “hands-on” lab textbook for learning the concepts and tools of the discipline. We’re excited that the text has been incorporated into the curricula of more than 55 universities world-wide, and has even been translated into Korean. The second edition is decidedly more applied and international in the choice of examples, approaches, perspectives, and contributors. It includes new advances in quantifying landscape structure and connectivity (such as graph theory), as well as labs which incorporate the latest scientific understanding of ecosystem services, resilience, social-ecological landscapes, and even seascapes. As in the 1st edition, the exercises emphasize easy-to-use, widely-available software. Introductory exposure to spatial analyses using R programming language is provided by several labs. What remains similar from the 1st edition is our dedication to making seemingly complex ideas easy to understand and use for scientists from diverse backgrounds, and particularly for those early in their careers. All the files, software and datasets are available using the links below for a given chapter. For a complete copy of the Instructor’s Notes (with Answer Keys), instructors can email SEG: sarah.gergel@ubc.ca with your course number, title and affiliation.